Today our vision for the future of the Arsenal on the Charles will start to become a reality. 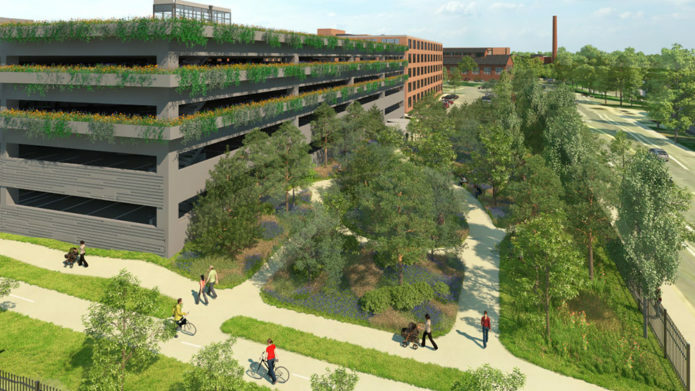 We break ground on the much anticipated, much needed West Parking Garage and “Building 2.” Read more about “Building 2” in the Campus Master Plan section of the site (under the “Vision” tab above). 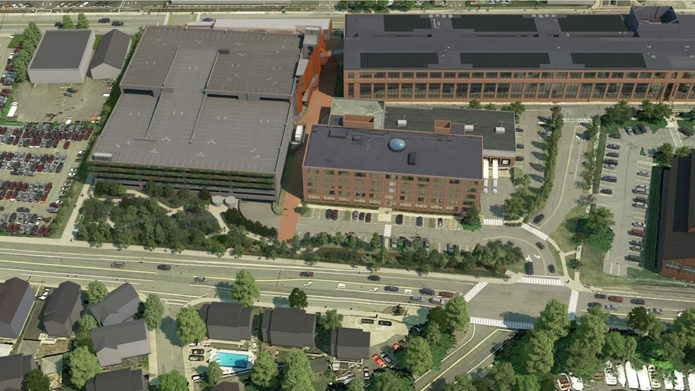 This rendering shows the street view from Arsenal Street looking at the north elevation of the West Garage and Building 2, with the new traffic light at the existing west entrance to the Arsenal campus. Construction of the garage is anticipated to take place over the course of 14 months, starting October 2016. The target completion is January 2018. The construction project team begins the week of October 17, focusing on mobilization, site protection, and clearing away obstructions. Soon, in a progression from north to south, the asphalt will be cut and removed to prepare for pre-excavation. Come November and December, the major excavation will be done, where excess earth material is hauled off the site. During excavation, approximately 10 to 20 trucks will be entering and exiting the site each day, with some trucks making multiple visits per day. In December, they will start the support of excavation, in preparation for foundations and underground utilities. Stay tuned for progress updates over the next couple of months. East-facing view towards the West Garage's south façade suggesting the addition for elegant planters to soften the structure's elevation. This image showcases the park on North Beacon Street that will provide the community with a fresh, new green space with walking paths and an open seating area. The West Garage has been planned, designed, and engineered over the past 12+ months, and we have many hardworking collaborative partners to thank for getting this project to where it is today. 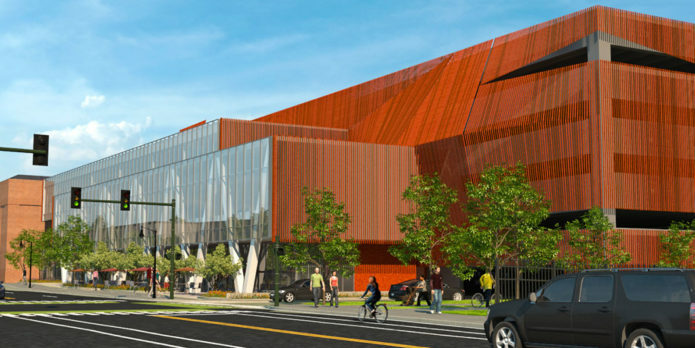 Walker Parking Consultants and Charles Rose Architects have designed and engineered the garage structure and façade. Stantec has developed the civil and landscape plans, and assembled many of the permitting and environmental documents. Vanasse & Associates continue to assess the traffic patterns to determine what upgrades are needed at the west garage intersections. RDK Engineers is responsible for designing the mechanical, electrical, and fire protection for the new garage. Sanborn Head is the geotechnical engineer responsible for soil testing and site remediation tasks. Chris Aguiar, Superintendent at C.E. Floyd Company, Inc.
Pete Doucet, Project Manager at C.E. Floyd Company, Inc.